Hedge School - feiner Celtic Rock! 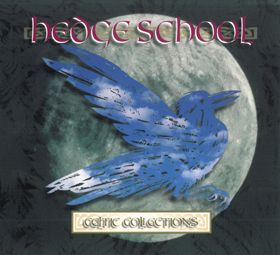 HEDGE SCHOOL is a five-piece Celtic Rock band from Dublin, Ireland. Their unique sound has attracted considerable attention from many well-known artists, including Def Leppard's Joe Elliot and Thin Lizzy's Brian Downy, who have rated the band's performance as 'second to none'. Hedge School have toured extensively, to huge critical acclaim, on the strength of an unsurpassed live set and unique blend of Irish rock, They have entertained a legion of fans in thier native Ireland, The US, Spain and the UK. As the popularity of the band continues to grow, it is abvious to all that they are destined for great heights. Hedge School is 110% Irish Rock.